Shoreline Center Auditorium, north end of Shoreline Center, 18650 1st Ave NE, Shoreline 98155. Please attend our truly unique and highly creative performance in Art, Music and Ability. 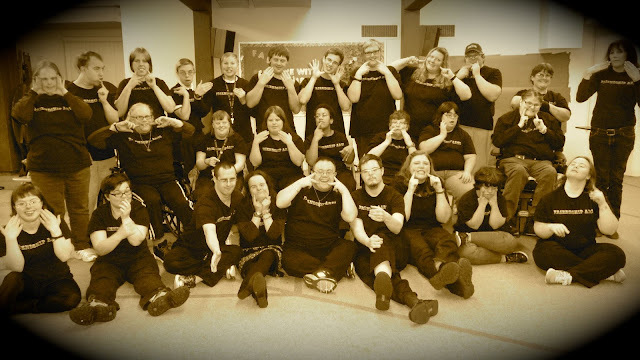 Show is written and performed by a cast of 60 people with developmental disabilities. This year's theme is "Dancing Thru the Decades" showcasing music and dance from 1900 to now. We will dance, we will sing, we will act- you will love it!! It's my favorite holiday tradition -- a fantastic, feel-good show that will leave you smiling for days.